RV Park and Campground Consultanting Success Stories at Bud Styer & Associates, LLC. The campground offers a variety of campsite styles; large RVs to popups & tents and has added WiFi capabilities within the campground. Camping "Oh" what fun. Waterfall, Trout Stream, Pedal Carts, Crawfish Races. "Enjoying the Simple Things in Life". Guests return year after year to enjoy our shaded full hook-up RV sites, secluded tent and pop-up sites, charming deluxe cabins with kitchenettes and bathrooms, and cozy sleeping cabins. 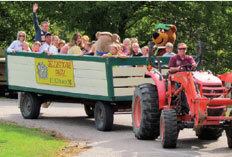 With the addition of unique, FUN equipment and focusing on fun and fitness for all, there continues to be a significant increase in enrollment for Smokey Hollow Day Camp. Merry Mac's Camp'n is located in Merrimac, WI. A family campground, Merry Mac's Camp'n provides a heated pool, large playground, video and game room, and much more! Camping in the Clouds has every campsite available to offer you an enjoyable time. With over 40 sites, we offer 18 full hookups, overnight sites, separate tenting areas, separate group areas, with showers and so much more. Westward Ho Camp Resort has a full calendar of activities that includes live entertainment such as music, dances, karaoke and magic shows. We also have arts & crafts, movies, Sunday worship services and a whole heap more! Camping For The Fun Of It is the premier family of campgrounds that are family friendly and family operated. Join us at any of our campgrounds! 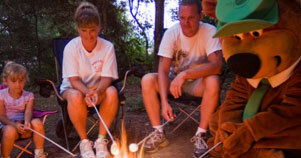 River Bend RV Resort offers a variety of campsite styles. Every campsite is equipped with a fire ring, a picnic table, and has plenty of space for your enjoyment and relaxation. River Bend RV Resort offers tent sites, group tent sites, water hook-ups, and electric hook-up (20, 30, and 50amp), available on many sites. Harbour Village is an established 270-acre restor community designed to accommodate your travel trailer, motor home or tenting needs. Harbour Village is open mid-May through October. Public Welcome - Ownership opportunities available. For years Rivers Edge has been hidden away on the Wisconsin River, just below Lake Dubay. It's all about the stuff... Pull thrus, jumping pillow, spaceball, golf carts, skate park, kids friendly store. Our amenities offer something for the entire family. Crooked River, 34 acres neslted on the Montello River, is located near Kilby, Buffalo, Birch and Montello lakes. 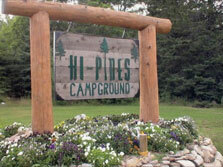 This family oriented campground with large, spacious sites has been a hidden gem for over 25 years. The quiet, relaxing atmosphere hosts hundreds of different species of birds. Crooked River Campground is easy to find but hard to leave. Welcome to Wisconsin's newest family-oriented year �round campground conveniently located midway between Green Bay and Wausau, four miles north of HWY 29. Enjoy outdoor adventures and family activities. We can meet your camping needs: pull through one of our �big rig� friendly sites, select a spacious wooded site, rent a Premium or VIP log cabin in the woods or on the ponds, or chose to go primitive on 185-acres of natural scenic beauty. Improved amenities, focus on recreation and camping retreat. Over 100 sites available and construction of log rental cabins has helped Washington Island Camping Retreat gain success. A great choice for fun family getaway in Wisconsin whether you�re an RV enthusiast, enjoy the comfort of a cabin, or prefer tent camping. Jellystone of Ft. Atkinson offers an affordable family camping experience with activities ranging from swimming, mini golf, wagon rides and volleyball to fishing, playgrounds, premium amenities, and appearances from Yogi Bear� and friends. On the beautiful shores of the spring fed Lake George, Pride of America offers the complete family camping experience. Pride of America offers endless activities and adventure for families including swimming in the pristine lake, or taking a dip in the heated pool and sprayground, boating, fishing, and lounging on the sandy beach. From the moment you arrive, the pine and oak forests and tudor-style atmosphere at Sherwood Forest will transport you back the legends of �Olde England� while offering the best in modern camping comfort and convenience. Located near several of Wisconsin�s beautiful state parks Rustic Timbers Campground offers a relaxing back-to-nature retreat for families loving the great outdoors. Just north of Chippewa Falls and connected to the beautiful Lake Wissota and Chippewa River, O�Neil Creek Campground offers fun for the whole family. Camp in the comfort of a cozy rustic cabin, park model, travel trailer or tent while relaxing with your family swimming, fishing, tubing and more! With affordable rates, great amenities, and majestic views of the Mississippi River Valley bluffs Jellystone Park of Bagley Wisconsin is the perfect place for creating family memories to last a lifetime. A campground aimed at creating an unmatched family camping experience, Hayward KOA delivers with it�s ginormus jumping pillow, 300-foot water slide, heated swimming pool, mini golf couse, themed weekends, and unique camping oppurtunities. Lake of the Woods Campground is the perfect summer fun destination for those who love the great outdoors and priceless family experiences. You�ll just love the charm of Westward Ho with scenic landscape and mature shade trees that are abundant throughout the entire park. Stay at a park worthy of its five star rating � with a courteous staff, fantastic accommodations and full amenity package. Family owned and operated for 20 years, Deer Trail Park Campground is dedicated to creating priceless recreational memories for the weekend and seasonal camping family. Lake Sara Campground welcomes families and pets of all sizes and boasts the best vies of the 800+ acre Sara Lake. Offering RV and coach sites, cabin rentals, and tent sites Lake Sara Campground has camping opportunities for all. 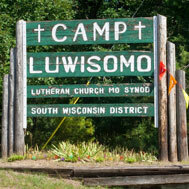 LuWiSoMo Campground offers a retreat from the stresses of life. Featuring RV sites, tent sites, cabin rentals, horseback riding, mini-golf, playgrounds, hiking trails, swimming area and more fun activities LuWiSoMo provides the perfect atmosphere to relax and refresh. In addition to being ideal family-oriented and pet friendly getaway destination Jellystone Park Larkspur is home to one of the best disc golf courses in Colorado, the Colorado Pumpkin Patch, the Illumination Light Show, and the DreamAcres and CircleF8 Ranches. Located at the center of Waupaca County Waupaca Camping Park is an excellent base camp for exploring the nearby Chain O�Lakes and Crystal River area. 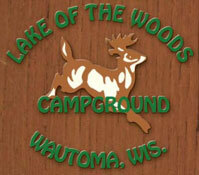 Waupaca Camping Park offers all the comforts and conveniences to create precious family memories. 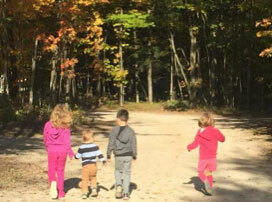 The atmosphere at Woodchip Campground creates the perfect destination for a low-stress family vacation. Kids love the great pool, awesome jumping pillow, and non-stop Saturday activities. With planned crafts and activities, several playgrounds, live entertainment, heated swimming pool, hot tub and lake for fishing, swimming, and kayaking kids at Farmer Gene�s Campground kids are never bored. Featuring classic amusement park rides from a bygone era, Little Amerricka offers fun for everyone. Thousand Palms Resort offers something for everyone. Surrounded by Florida�s unspoiled natural beauty it�s the perfect place to relax lounging by the swimming pool, playing shuffleboard and participating in the many scheduled activities and entertainment. Missouri Festival and RV Park is the place to kick back, relax, and enjoy live music with friends and family. The promise of a memorable family vacation waits at one of the most beautiful parks in the rolling hills of East Central Indiana. Kamp Modoc keeps families entertained with themed activities, oversized jumping pad, swimming zone with a 23� SuperTramp water trampoline, and relaxing beach area. Wanna Bee Campground and RV resort offers family camping at it�s sweetest. Convenietnly located two miles from the attractions of downtown Wisconsin Dells and complete with exciting and unique amenities Wanna Bee Campground and RV resort is where you and your family wanna be. With themed daily activities, mini golf, laser tag, swimming pool, skatepark, jumping pillow, train rides, and more, there is family fun for everyone all summer long at Stoney Creek RV resort. The largest campground at Country Jam, Whispering Pines Campground offers heavily wooded sites with plenty of shade from the hot summer sun. Shuttles to and from the festival grounds and amenities to create a relaxing and fun environment make Whispering Pines the ideal spot to enjoy Country Jam from. On just over 40 acres of sunny valleys and wooded Wisconsin hillsides Glacier Valley Campground offers many features for family campers. A swim pond, 9-hole disc golf, a Jungle Jumparoo, hiking trails along a winding creek, and more unique amenities offer a memorable camping experience. A private campground, Lake Carrol Campgrounds, offers it�s members easy access tennis courts, an aquatic complex, Ski Hill, and a fun camping experience. Deep in the Wisconsin north woods, Camping in the Clouds, offers miles of ATV trails, and located in the ideal region for great hunting, fishing, hiking, biking, rafting and much more. The Forest Preserves of Cook County offers five campgrounds for families and people of all ages and interests. Whether staying in a tent, a cabin, a bunkhouse or an RV, you�ll get an immersive, round-the-clock nature experience, a chance to hear owls, paddle a canoe, stargaze and watch the sun rise over the trees. Camp Crosley is a Christian organization that promotes the core values of�Caring, Honesty, Respect, Responsibility, Loyalty, Reverence, Clean, Trustworthy, Sportsmanlike,�Considerate, Helpful�and�Dependable.�Everyone at camp strives to live by these values in everything we do. Oak Lake Family Campground is an oak wooded paradise that is easily accessible but still secluded from the hustle and bustle.